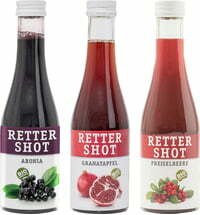 Taste your way through Retter's juices! The pomegranate has a long tradition of use! 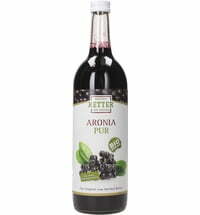 The fruit has often been used in traditional natural medicine. 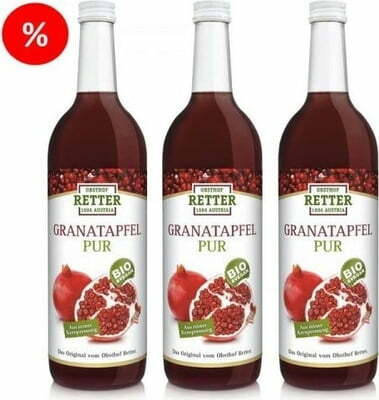 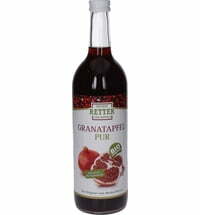 The Organic RETTER Pomegranate Juice is made from pure pressed seeds and contains antioxidants like polyphenols, flavonoids, vitamins B1, B2, C, OPC and beta-carotene, among other great properties. 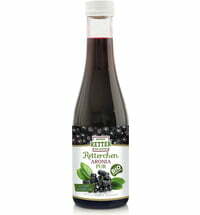 It is also rich in magnesium, calcium, phosphorus, potassium, iron and many essential fatty acids. 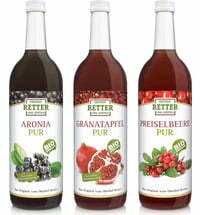 The high-quality freshly harvested fruit comes from organic agriculture and is processed into juices using a manufacturing process specially developed by RETTER. 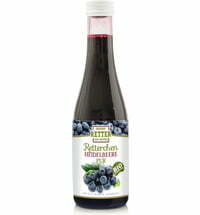 This preserves their natural vitamins and minerals. 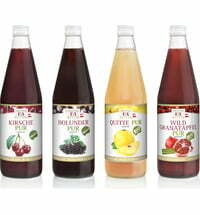 Over the course of the day, drink 1/8 litre of juice, or a total of 250ml pure juice. 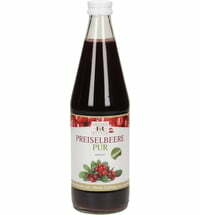 Drink after a meal, at best after breakfast or lunch. If you drink the juice over the course of the day, your blood sugar will rise more dramatically (the juice naturally contains sugar). 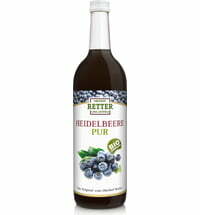 If you drink after a meal the sugar will affect your blood sugar levels less dramatically.